Palaeontologists from the Queensland Museum will further explore the South Walker Creek mine for fossils of Australian megafauna – huge creatures that once roamed the earth, including "sheep sized echidnas, a two metre tall wombat and a seven metre goanna." BHP agreed to allow excavation after workers came across a fossiled bone that once belonged to "Pallimnarchus, an extinct relative of the crocodile." 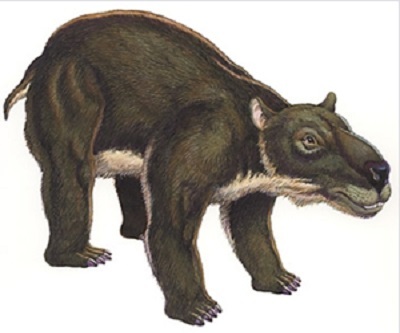 Some of the fossils already dug up are among the "largest ever to have been discovered, and include the remains of Diprotodon, the world’s largest marsupial, and Megalania, the world’s largest lizard," according to the Queensland government website. Remains of almost 50 Diprotodons have been discovered at the site to date. The giant, vegetarian marsupials "lived in what is now Australia from about 1.6 million years ago up until about 25,000 to 50,000 years ago," but died out when humans showed up.